Truly back to basics for a whole new era! DC announced through USA Today that they’re continuing with their plan of trying to revise and renew some of their more offbeat properties in 2016. Like with Bizarro and Bat-Mite, they’re doing it in the form that makes the most sense: mini-series. 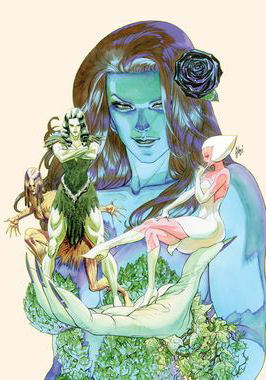 Specifically, there will be eight mini-series shining a light in dustier corners of the DC Universe. Some will have you excited, and some maybe a bit puzzled. And that’s okay. 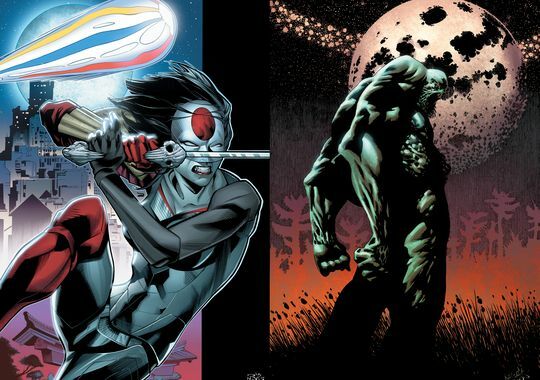 “By bringing them on to their own special limited series, we’re really spotlighting what’s so fantastic about these characters,” says Bob Harras, DC’s editor in chief and senior vice president for editorial in the USA Today article. But that’s not what makes this announcement so welcome — and interesting. It’s that for some of these properties, DC went back to their original creators to breathe new life. Publisher Dan DiDio told USA Today, “We want the best writers working on our characters, and these are the best writers for these characters.” But they will still be tasked with putting a new spin on things and update them for 2016. 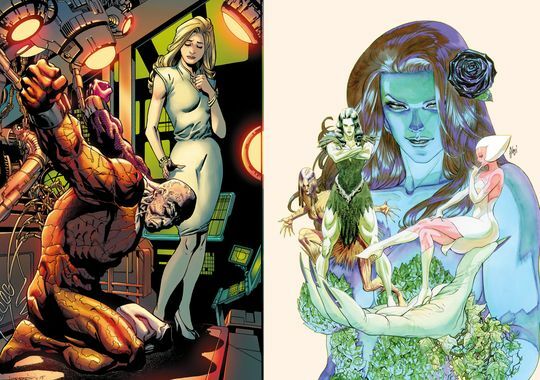 That means Len Wein, creator of Swamp Thing, will return to Swamp Thing (as he wrote for Convergence). For the Convergence issues, he teamed with artist Kelley Jones, whose style Wein mentioned at Wonder Con felt as close to original co-creator Bernie Wrightson as he had seen without directly imitating it. From the promotional image released, it looks like Jones will be continuing to work with Wein. Gerry Conway, who had recently kicked up a bit of a firestorm with DC (and later apologized), will return to Firestorm. 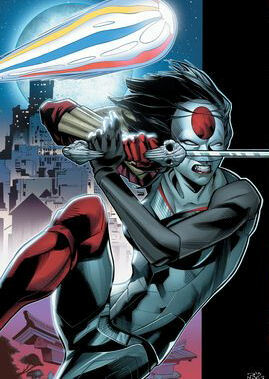 And Mike W. Barr, creator of Batman and the Outsiders, will write a new version of his character Katana in Katana: Cult of the Kobra. (Didn’t he create Kobra, too?) If you pay attention to the promotional art there, it looks like at least one other of his original Outsiders will be making an appearance as well. 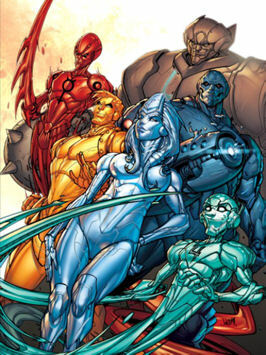 DC released an image of a revived Metal Men, long believed to be a favorite property of DiDio’s, and mentioned that Wein will be writing it. Hopefully, sometime before or after our trivia match on Sunday, he can find some time to talk about these projects. The one that could be either brilliant, a train-wreck, or both is Keith Giffen’s new take on — of all things — Sugar and Spike. They are no longer infants speaking in a bizarre toddlerspeak that only they (and readers) understand. Now they are older private detectives, Sugar Plumm and Cecil “Spike” Wilson. My Ambush Bug sense is twitching. At any rate, this will make great conversation this week at Comic-Con — and continues as a sign that DC Comics really is committed to making good comics to appeal to a wide base. They’re getting us excited again.